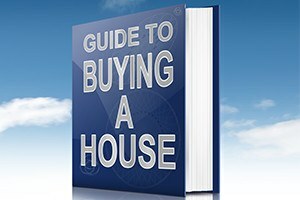 If you are in the market for a home, you may have several questions about the buying process. Not only does purchasing a home require a significant financial commitment, but it also has legal implications that could affect you for many years. The real estate attorneys at Pulgini & Norton advise individuals in Boston and nearby communities throughout the home buying process. With more than four decades of combined experience in the law, we can provide you with personalized counseling in your transaction. As you embark on the home buying process, you likely have many questions about the various phases involved. Before you start your search for a property, you should get pre-qualified for a mortgage. The pre-qualification does not guarantee that you will get a mortgage for the specified amount, but it does give you an idea of how much property you can afford. You should also consider working with a real estate agent, who can show you homes within your price range and answer your questions about the neighborhood in which a particular home is located. Once you have identified a property and are ready to make an offer, a Massachusetts attorney can advise you on the actual purchasing process. Buying real estate involves several documents and steps that can have consequences far beyond the closing. The offer to purchase plays an important role in your ability to purchase the property. It communicates your serious intent to buy the home, and it is also a legally binding contract. You will want to ensure that your offer is contingent on certain conditions, such as your right to inspect the home, or your ability to sell your current home if you are already a homeowner. The purchase and sale agreement details the terms of the actual transaction. Most purchase and sale agreements are based on a standard form that is seller-friendly. You will need to negotiate various clauses and provisions in the agreement to protect your interests, such as a mortgage contingency clause, inspection rights, and which party pays for the cost of certain repairs. Your offer or your purchase and sale agreement should include a home inspection clause. A licensed home inspector should conduct a thorough review of the property to determine if there are any structural defects. The home inspection could affect the sales price, whether the seller needs to make certain repairs, or even your decision to ultimately proceed with the purchase. Massachusetts property owners must convey what is known as clear and marketable title. This means that no other person or entity has any claim to the home. As the buyer, you will want to ensure that there are no possible clouds to the title of the property. A title search will identify any title-related issues, and the seller should clear these up before you consummate the purchase. Mortgage lenders will have several products with different terms that can influence your ability to afford the mortgage in the long run. You should consider the term of the loan, any interest rate changes during the life of the loan, and your monthly mortgage payment. You should also take into account any acceleration clauses, prepayment penalties, or balloon payments, which could affect your ability to refinance or sell your property in the future. The closing is the actual procedure in which the seller transfers ownership of the home to you. If you get a mortgage to finance the purchase, you will give the lender the deed to the property. The closing involves several technical requirements to complete the transaction, including the signing of various documents and recordation of the deed and other instruments. The property transaction lawyers at Pulgini & Norton advise and represent Boston residents throughout the home purchasing process. We can carefully draft and negotiate documents to protect your interest while keeping an eye toward the closing. We can advise you about any title issues that may arise and explain the terms of any financing documents. We also represent home buyers in communities such as Newton, Braintree, and Lowell. Call our office today at 781-843-2200 or complete our online form to schedule a consultation.